Turkey’s failed “coup” has shaken up the region’s geopolitics, splintering the powerful Turkish military, forcing President Erdogan to focus on internal “enemies,” and undermining the Syrian rebels next door, says ex-British diplomat Alastair Crooke. I do not want to use too much space inspecting the initial entrails of this “coup,” but rather to look to its wider significance. But first, let me set out what seem to be a few solid “handholds” in an ever shifting narrative of the Turkish “coup”: Erdogan has been saying that he expected a coup against him (mounted by the West, and operated by Gulen) for months past. That an investigation of potential plotters in the army was underway – and a consequent further purge of Gulenists and Kemalists in the offing – was open knowledge. 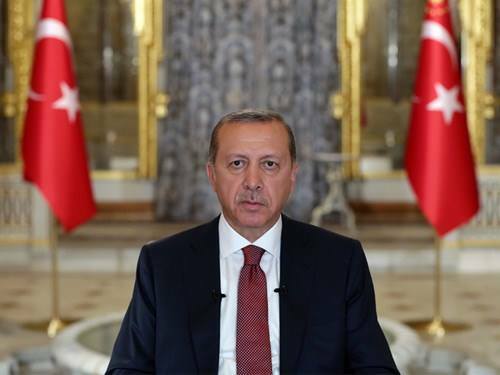 It is clear that the lists of those who were to be purged in judiciary and elsewhere in the state, were already prepared, and to hand, at the time of the “coup.” Erdogan has said that he had several hours’ advance knowledge of military movements in preparation for the coup. Reports suggest he probably had much more notice than that. In brief, I agree with Philip Giraldi and his unnamed assembly of “Turkey-watchers.” that the coup was ‘basically a set up”, in that a group of Gulenist/Kemalist army officers were indeed plotting some sort of coup. Possibly this coup was deliberately instigated, as Giraldi postulates. A leading Turkish analyst has argued that the “coup” reflects the deep divisions that exist in the Turkish army: the plotters were not so much Gulenists and (secular) Kemalists, but “NATOists,” who were set on resisting the “Euroasianists” in the army, who favoured Turkey’s new orientation – away from NATO – towards Russia, China and Iran. In short, it was not initiated by Fethullah Gulen, but was ignited by disenchantment with the President — but was allowed to proceed anyway. 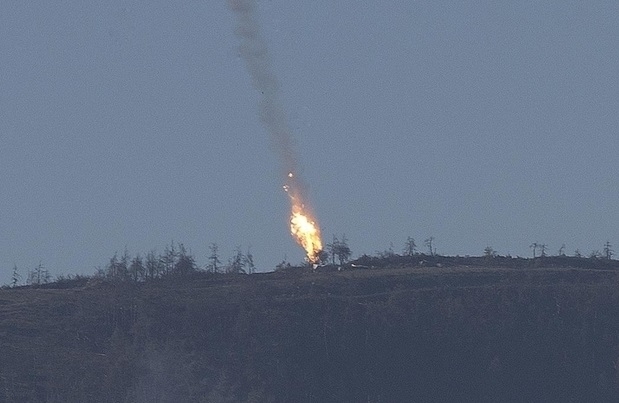 The “re-orientation” of course, had already begun with Erdogan’s letter of apology for the downing of the Russian aircraft, and the killing of one of its pilots in Syria. Be that as it may, it is clear that Erdogan had wind of the “coup” (and decided to follow Sultan Mahmud’s example) — thus the “Gift from God” allusion. The plotters most likely knew that a purge was imminent, and decided to act. 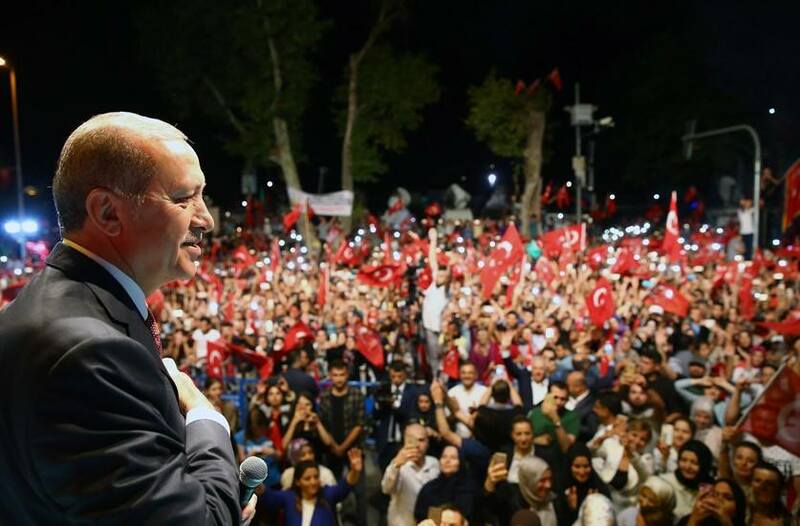 And in so doing, unfolded a hasty and premature operation (whilst the Sultan was reportedly — or not — in his summer “palace”), which had neither the support that the plotters had expected from senior commanders, nor from the secular or liberal public (who sided with Erdogan, against the coup, in the immediate aftermath of the “coup”). Who forewarned Erdogan? Very possibly some of the army commanders who had been approached for support by the plotters, but who remained loyal; or even – as reports now suggest – Russia or Iran, both of which have important listening posts in the area (as, of course, does the U.S.). Logically, any army officers who declined to be a part of the coup would have had little option, but to inform Erdogan, knowing that there would be a heavy price to pay either way. Noticeably, unlike the West, the Russian and Iranian response was immediate, unqualified support for Erdogan — there was no waiting around, to see how the land lay. They went straight in. Perhaps they already knew the likely outcome. More interestingly, diverse sources report that the UAE too had advance warning of the coup, and had forewarned Saudi Crown Prince and Defense Minister Mohamed bin Salman also. The Qataris (the former Emir, a friend of Erdogan, and Al-Quds al-Arabi, a Qatari owned newspaper) have suggested that the UAE and Saudi Arabia – unlike Russia and Iran – were looking for the coup to succeed. Al Arabiyya, with close associations to bin Salman, took a clear pro-coup line at the outset of events. President Erdogan is not a “forgiving man,” and any sign of favor towards the new ‘Janissaries’ will not lightly be forgotten. Why then did Erdogan make this controversial move toward Russia and Iran? A number of factors perhaps (in ascending order of importance): Firstly, the economy is “tanking,” and Erdogan – and his fall-out with Russia – is being blamed. He is being harshly criticized too for the upsurge in terrorism in Turkey – and his Syria and anti-PKK policies are being blamed. But more strategically, he fears, most of all, that America is intent on creating a Kurdish autonomous state, firstly in northern Syria – and a then to follow, possibly, a Kurdish state at the heart of the Middle East. There are deep suspicions across the Middle East about U.S. motives in this respect. And Western plans to establish five military bases in Kurdish northern Syria are fuelling suspicions that America is engaged in more than a little “autonomy-building,” if not actual “state-building” there. It makes sense, therefore, for Turkey to find common ground with Moscow, Damascus, Baghdad and Tehran, to put a stop to any such American notions. Finally, Ankara needs friends. 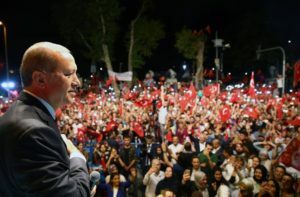 Although Erdogan attributes the July 15 plot to Fethullah Gulen specifically, the Prime Minister and other officials are explicit in saying that it was also a NATO and CIA plot. They are pointing the finger fairly plainly toward Incirlik, America’s main regional NATO base housing at least 50 of America’s nuclear bombs. The base has been sealed from the outside world, its staff and their families inside; it has had its electricity cut since July 15; it has been searched by the Turkish police looking for “coupists,” and had its Turkish commanding officer arrested (together with nine other senior officers). The inference of Incirlik is quite clear: Ankara is tying the NATO and American base to being the suspected epicenter of the July 15 plot. Was then, the U.S. possibly involved? No evidence has been produced, but it would be hard to believe that the U.S., with its deep ties to the Turkish military, had no inkling of dissidence within the army and the possibility of a “coup.” Clearly relations with the U.S. are souring fast — as they are too with the E.U. Many of those purged (as of July 19, the number stood at 49,321) — and yet to be purged — precisely will be Europe’s friends and contacts in Turkey. Europe however, will have to be more circumspect than the U.S. in its reactions to the purge – fearing that President Erdogan simply will punish the E.U. for any overt criticism of Turkey by opening the refugee sluice gates, once again, to flood into southern Europe. Having few external friends, President Erdogan needs strategic depth to survive. He will hope to find political strategic depth through a closer relationship with Russia and Iran. And he needs economic strategic depth (tourism and trade). But Turkey also needs the prospective, substantial, and additional revenue which the “Turkish Stream” and the possibility of becoming the energy corridor to Europe, can offer. For this too, Turkey needs Russia and Iran. The question in Russian and Iranian minds must be whether Erdogan is making a genuine shift in geo-political terms. He is under strong pressure, for sure; and may have felt that he had to do something quickly to reshuffle the cards, by ostensibly pivoting to Russia. According to one (unpublished) report, a few weeks ago Erdogan gave orders to speed up the training of these jihadists, in order to deploy them in these regions as soon as possible. Special attention being given to the North Caucasus jihadists, Uighurs, Uzbeks, and Albanians — who all proved their combat record in Syria and Iraq, as well as to the Crimean Tatars. And what does this all mean geopolitically? Firstly, for anyone who has seen the photos of Turkish army soldiers being stripped, beaten and kicked by the mob, and of bruised generals, their hands tied, having their faces shoved up against corridor walls, will know that the Turkish army has been very publicly and thoroughly humiliated (a third of Turkey’s generals have been detained) – and for sure, there is more humiliation to come. The army is being broken. Its morale will be rock-bottom. Suspicion between its members will spread contagion, as fear of arbitrary political denunciation takes hold. The army will be sullen, and unresponsive in its tasks. The largest military in the region, a major NATO instrument, has just been rendered, in many ways, incapacitated. If senior army officers who opted out of the coup allowed it to run faute de mieux, they must be rueing the consequences for the armed forces and the security services. And the secular, Westernised, liberal sectors of Turkish society – a substantial sector of society – have just witnessed Turkey take another historic step toward Islamisation and away from European values that they embrace. They will be, for now, both sullen and defeated – like much of the public service and academia; but in the longer term, they will bide their time, and nurse their hatred for Erdogan and the Islamists. Turkey is a society bitterly polarized (a poll just out indicates that one-third of Turks believe that Erdogan himself was behind the “coup”) — and is heading for bleak economic times. Business optimism will fade, debt will weigh and investors will be more cautious. Is Erdogan stronger? In the short term, perhaps. He controls Turkey now as if already the plenipotentiary Sultan, but following the parallel with Sultan Mahmud II, the defeat of the Janissaries plainly initially strengthened the Sultan’s position. But despite this, were Erdogan to care to pursue his own Janissarist allegory further – he would recall that within five or six years of Mahmud’s own “auspicious event,” the decline and breakup of the Ottoman Empire was already well under way. The principal beneficiary of the July 15 “coup” might well prove to be Syria (if the geo-political shift proves serious). Reports indicate that Turkey has already pulled its military out of both northern Iraq, and its intelligence forces from northern Syria — there has already been some noticeable impact in Aleppo province from this withdrawal, with the Syrian army making progress as a consequence. Were Turkey fully to close the border between Turkey and Syria – as the Russians are insisting – then the effect would be strategic in terms of the conflict in Syria and also in terms of the balance of power in the Middle East. For Saudi Arabia and Israel, a closing of the Turkish border to insurgents would be regarded as a major setback. Saudi policy in Syria would be crippled by the border closure (the southern crossing – in open desert – is highly vulnerable to air attack and Jordan already holds itself aloof from deeper engagement in Syria ). Mohamed bin Salman’s doubling-down in recent months in support of the Syrian insurgency will be seen to have failed, and he will likely face fierce criticism from within the ruling family for having shown sympathy for the “coupists,” causing a likely backlash from Turkey. Iranian and Hizbullah influence in Syria, by contrast, would be considerably strengthened. Although Russian President Vladimir Putin is likely to try to mitigate any strengthening of the Iranian influence in Syria – in terms of perceived risk to Israel (President Putin has good working relations with Israeli Prime Minister Benjamin Netanyahu) – nonetheless, the risk of Israeli action against Hizbullah in South Lebanon and in the Golan will increase. The Israelis have been indicating that Iranian forces situated near to the Golan, would constitute a “red line” requiring “action” to change the situation. How could events in Constantinople be in the London papers the next day, years before commercial electrical telegraphy? The shift to Russia-Iran-Syria is a temporary expedient. As soon as Erdogan has regained full control, he will resume his Panturkic efforts. The only thing that can stop him would be serious setbacks in his relations with the US – if the latter step up their supports a Kurdish separatism, or similar sabotage actions. A very interesting article. Turkish press reports indicate that Russia gave Erdogan notice of a potential coup weeks in advance. In that case his intel dept was watching and compiling lists of coup sympathizers to be purged, and would have watched and waited so as to be prepared, not to cause a coup for propaganda purposes. Turkey doubtless knows that the US has at least as good intel there, must have known of the pro-NATO coup plot earlier, and apparently hoped that the coup would succeed, if not supporting it. So Erdogan pointing to Gulen, instead of US/NATO regime change, is trying to give the US the benefit of the doubt, and may be a test of US intentions. The fact that the coup was apparently supported and even directed from the US-related Turkish airbase at Incirlik, that US-supplied Turkish Cobra helicopters and US-trained pilots attacked all Turkish intel headquarters and Erdogan’s resort, that the US did not forewarn Erdogan, all suggest about as strongly as possible that the US instigated the coup. Add to that the similarity with other recent US coups especially Ukraine, and the US goal in Syria of stirring up trouble near Russia by using mercenaries like AlQaeda, as in Afghanistan and Ukraine, and there is really no room for doubt. The question is why the US would regard Erdogan’s survival and shift to Russia-Iran-Syria as a reversal, having accused Erdogan of supporting ISIL. After all, he let the US use Incirlik as a base primarily to attack ISIL. So very likely the Erdogan-ISIL connection is US propaganda, and the authoritarianism accusations may be more of the same. Apparently it is Erdogan’s rapprochement with Syria and Russia that offends the US, because it reverses US actions against Syria in pursuit of Israeli campaign bribes and neocon Cold War fantasies about Russia. Anything is possible, but it seems to me Erdogan would be unusually stupid to now pick a fight with both China and Russia after basically gutting his own military forces. If huge terrorist attacks continue or even increase in Turkey, I’d figure it’s the Zionists going with Kerry’s Plan B. Destroying Iran and Turkey just has to still be on Holy Israel’s agenda. A nice little civil war in Turkey wouldn’t hurt at all with regard to that objective. Probably President Hillary can be trusted to handle Iran.